MURSHIDAH SAID is an internatinoal speaker and adviser of grooming, corporate image and personal empowerment and transformation for individuals and corporations. A graduate of the National University of Singapore with a Bachelor of Arts Degree in Economics and Sociology in 1993, Murshidah runs successful businesses for more than 10 years expanding throughout Asia that teaches entrepreneurship to teenagers and adults. Murshidah has over 5 years of personal grooming and personal image training experience to teenagers, corporate executives and government level executives. She also owns a convention organising and event management company and has organised over 150 projects spanning the Asia Pacific region (including Hong Kong, Seoul, Beijing, Sydney) since 1993. When working in a multinational exhibitions organizing company in 1995, Murshidah was the youngest appointed Conference Manager heading the Asia Pacific Conference Department team in less than a year. 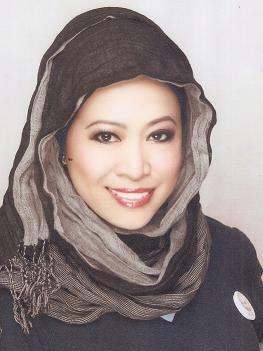 Upon starting her own Convention Management company in 1997, Murshidah was appointed to be the Conference Consultant for the Multimedia Supercorridor Conference after being appointed as the emcee for the global IT convention in 1996. She then went on to organize major events like ITS Malaysia in 1998 with Advanstar Communications from USA, and helped IT companies event manage their product launches as part of their PR efforts between 1998-2004. Some of the companies she worked with in her business include Sun Microsystems, ECS Malaysia, ZD Events, Epicor and Porter Novelli. After 13 years in the events and conference organizing industry, Murshidah went on to discover her passion of empowering people and helping them to excel in their life. After overcoming major financial and emotional challenges during business difficulties in 2002-2005, Murshidah started working with individuals as a personal coach to coach and empower them to take personal action to transform themselves and their lives. In 2005, Murshidah was trained and certified to be a beauty workshop specialist and since then has been conducting grooming, skincare, personal care and makeup programmes to many corporations, institutions and individuals alike. Her passion is to help people look great and feel great by gaining more self-confidence and attraction through motivation, inspiration and proper advice on inner and outer personal image. She is often invited to speak at conferences and be an emcee at events. Some of her clients for personal grooming and makeup include Sheraton Imperial Hotel, Westin Hotel, Pan Pacific Hotel, Marina Mandarin Hotel, Damansara Specialist Hospital, National University Hospital of Singapore, Tawakal Hospital. Between the years 2005-2007, she has also trained teenagers from the Secondary Schools in Singapore on proper grooming and etiquette, how to gain confidence and public speaking skills as well as given talks of having a healthy lifestyle. She is also a certified Neuro Linguistic Programming Practitioner and a certified life coach recognised by the American Board of NLP, NBPES and NLP University (USA). She is also trained in the areas of Accelerated Learning and whole being learning to achieve better education for participants. Murshidah’s courses address the importance of education for the WHOLE BEING, ie incorporating the interconnection of body, mind, heart and spirit. Even the skills based programmes she conducts include the emphasis on the spirit which is hardly addressed in most corporate and management trainings. She emphasizes on principles-based practices in her courses. Murshidah is a regular speaker at conferences and is currently working on her first book. She has been interviewed and featured on Hello on Two on RTM2 and on the Breakfast Show on NTV7 in Malaysia. Murshidah has a 7 year old daughter, and is a business partner with her husband who is also her life coach. An avid traveler and adventurer, she has explored Europe, Middle East, South Africa, USA, Asia Pacific and Australia alone on a backpack as well as with a small group of like-minded friends. Murshidah is resourceful and jovial and participants of her workshops are guaranteed of lively and fun sessions where they learn to expand their social skills and perform beauty and life makeovers. Her love for learning, colours, music, dance and movies are brought into the workshops that she conducts. “I have attended many courses and I never expected the Secretarial Skills Course you conducted to be this good. It’s very different from other workshops I’ve been to. I have learnt so much more than I expected. Thank you!” Haslina Jamir, Secretary, Percetakan Nasional Malaysia Bhd. How are you??? Its been a long time since I met you. Now you are happily married with a 3 year old daughter, Good to know. Hope you remember me.. I have been looking for someone to help me expand my Leadership Programs throughout Asia and after reading your blog I feel that perhaps you may have an interest in my concept. Currently in Malaysia and also in Australia I have founded a unique Leadership Program called “Awaken the Noble Leader Within”. If you look at Linked In you will find me there with a lot about the Program and myself. I would be very pleased if you feel that this is something of interest to you and fits within your own capabilities. I will be in Kuala Lumpur from the 25th September marketing future programs and also delivering my 3 day Workshop in early October. I look forward to hearing from you if interested.